Maybe your family is growing and needs more space. Maybe you need to relocate across the country for a new job. Or maybe you simply want to experience a new neighborhood. Whatever the reason, you need to move. You have a concern, though: You've only owned your home for five years and you're still paying off a mortgage loan on it. The good news is that you can still move. The bad news? You might owe your mortgage lender some money when you do. When you first begin paying a mortgage loan, most of your payment will go toward interest, not principal. This makes selling a home after just five years -- if you have a mortgage loan -- a financial challenge because you might not have paid off enough of your mortgage loan to ensure yourself a profit when selling. According to the amortization table created by financial Web site Bankrate, if you are paying down a $200,000 30-year fixed-rate mortgage loan with an interest rate of 5 percent, you'll only have paid off $16,650.94, leaving you with a balance of $183,349.06 on that original $200,000 mortgage loan. Selling a home isn't an inexpensive task. According to MSN Real Estate, real estate agents in 2012 charged an average commission of 5.1 percent. Sellers pay this cost. If you manage to sell that $200,000 home for $210,000, the real estate agent's commission could cost you $10,710, money that comes out of your profits. Depending on where you live, you might also have to pay a hefty transfer tax when selling. These vary depending on location, but if you have to pay an excise tax of 1.78 percent of your home's sales price, and you're selling your home for $210,000, that's another $3,738 added to your costs. 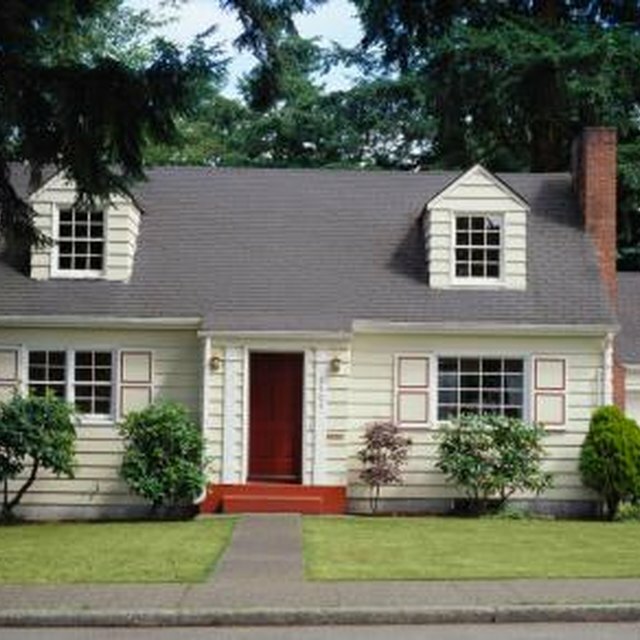 You might also have to pay for other miscelleneaous closing costs such as owners title insurance. And in a buyers' market -- one in which buyers have the advantage -- you might also have to pay some of the closing costs typically assigned to buyers. Sellers who do this, and advertise that they'll do this, usually have an easier time attracting an offer. All told, then, the extra closing costs of selling a home can sometimes reach as high as $5,000. In the example above, the sellers would pay about $19,440 to sell their home. Subtract $183,349 from the final sales price of $210,000 to get $26,651, the sellers' "profit" before closing costs are taken into consideration. Subtract the closing costs and other expenses of $19,440, and these sellers would then end up with a final profit of $7,211 after selling. Is that profit high enough to make selling worth it? Maybe. But sellers do have to factor in the costs of hiring movers and the closing costs they'd have to pay when buying a new home. Sellers might make more or less profit after five years depending on how much their homes appreciate. If that $200,000 is worth $240,000 after five years, sellers might be able to sell their homes for a high enough price to dramatically boost their profit after even just five years. However, if their home depreciates in value after five years -- say their home is now worth just $180,000 instead of $200,000 -- sellers might actually take a loss when selling their home after just five years.